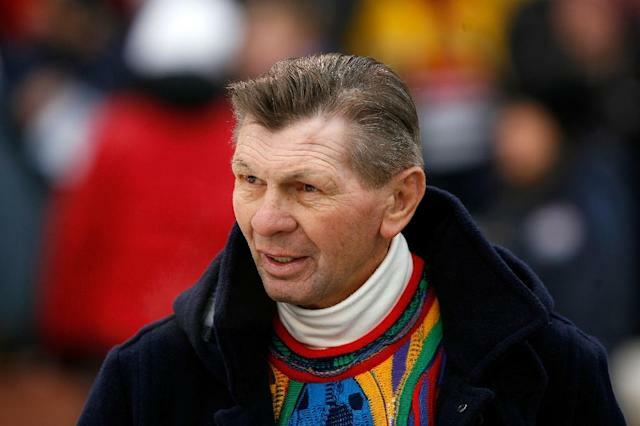 Chicago (AFP) - On the back of his hockey card they listed his vital statistics, but there was no way to measure the passion of Stan Mikita, who was the heart and soul of the Chicago Blackhawks for two decades. The Slovak-born Mikita, a pioneer and innovator for the sport of ice hockey during his brilliant hall of fame NHL career, died on Tuesday. He was 78. 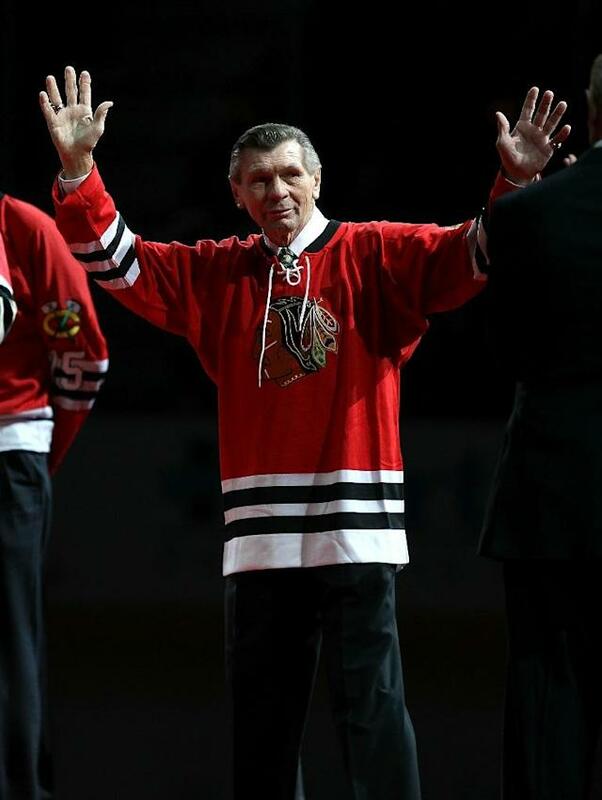 "I am saddened to learn of Stan Mikita's passing," said former teammate and fellow Hall of Famer Bobby Hull. "I, alongside all who played with him, knew him not only as a great player, but as an even better friend, teammate, husband, father and grandfather. "I take comfort in knowing we will be forever together in front of the United Center, and I'm honored to now play a part in keeping his legacy alive." Mikita's family announced his death in a statement released by the team. He had been in ill health after being diagnosed with a brain disorder called Lewy body dementia. "Stan Mikita lived a remarkable life and was a wonderful man, respected and revered by so many," NHL commissioner Gary Bettman said. "One of the greatest players in NHL history and a Chicago icon." Mikita is Chicago's all-time leading scorer and the first Blackhawk to have his number (21) retired. As an innovator he was one of the first to use a curved hockey blade and wear a helmet full time after an errant shot ripped a piece of his ear off. From his hardscrabble beginnings in Czechoslovakia, Mikita moved to Canada as a 12-year-old boy to escape the spread of communism. Mikita was adopted by his aunt and uncle who were living in Toronto and took their surname, Mikita. He didn't speak English, but he made his first friends by playing street hockey with the other kids the neighbourhood. He started his career in 1958-59 as a feisty 18-year-old teenager not afraid to take on older men, and finished it as a two-time Lady Byng winner as one of the game's gentlemanly players. He was a good listener taking to heart teammate Ted Lindsay's early advice about hitting them before they hit you. One of those that was on the receiving end of Mikita's ire back in the early 1960s was Montreal Canadiens forward Henri Richard. The Canadiens were the Blackhawks' biggest rivals and they had their own nickname for Mikita calling him "Le Petite Diable" -- "The Small Devil". Mikita represented Canada during the 1972 Summit Series against the Soviet Union which Canada won in eight games. He had a hockey IQ that was off the charts. He could skate through the other five players on the opposing team and then carry that concentration right to the net where he would have one final trick in store for the goalie before slamming home the puck. Mikita played his entire 22-year career with the Blackhawks and led the team to the 1961 Stanley Cup. A four-time Art Ross Trophy winner (1964, 1965, 1967, 1968) as the league's leading scorer, Mikita is the Blackhawks all-time franchise leader in points, with 1,467, and games played with 1,394. Even before his retirement he surrounded himself in humanitarian causes. Mikita became deeply involved in the American Hearing Impaired Hockey Association and the Special Olympics. He also encouraged teammates to join him in giving back to the community. At the NHL's 2017 Centennial celebration in Los Angeles, he was honoured as one of the 100 greatest players ever. But he couldn't attend because of failing health.